The Department of Information Technology and Telecom, has now completed its advocacy program for cyber security planned for the FY 2017-2018. The program has been aimed at continually sensitize end users across the country on the importance of developing safe habits and good practices for basic cyber security. 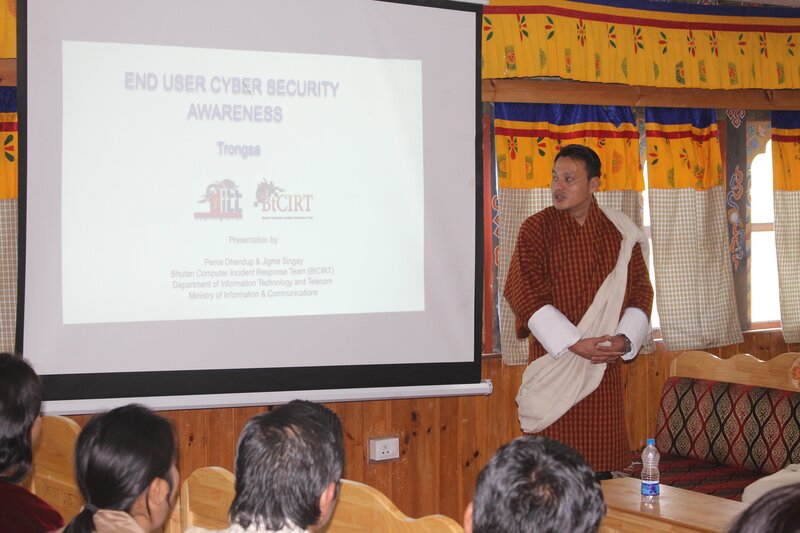 BtCIRT has visited Dzongkhags to spread awareness on ensuring safety in the cyberspace, recognizing risks and reacting to attacks and to advocate measures to proactively combat cyber threats, individually and collectively. 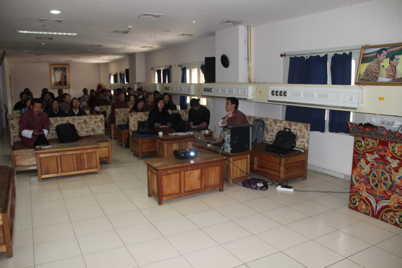 Trashiyangtse Dzongkhag awareness program was attended by 30 participants. The potential risks of getting confidential information exposed unintentionally was shared with the presenters through various means crafted by cyber criminals. 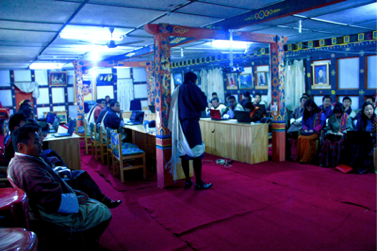 The program continued at Trashigang Dzongkhag with participation turnout of 21 users. The participants shared their concerns regarding cyber security and felt that it was timely for such awareness program. 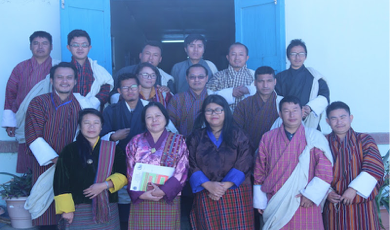 The Trashigang ICT Officer also requested if DITT, as the parent agency, could explore possibilities of conducting user training on basic ICT tools and services. 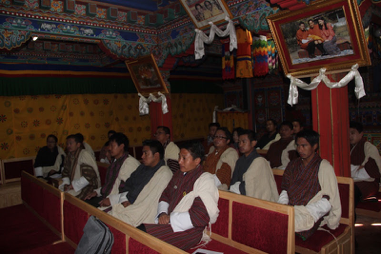 As scheduled, the program was conducted at Lhuentse Dzongkhag with Dasho Dzongda gracing the session. Dasho also shared with the participants on how important it has become to adopt good user habits and recognise practices to safeguard information asset from getting compromised. 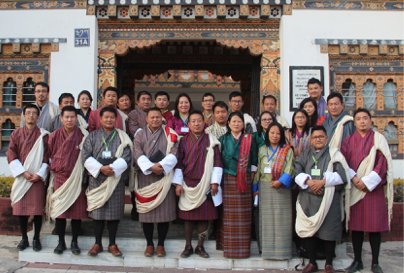 The session was attended by 37 officials. Discussions regarding the use of pirated softwares revealed that Lhuentse Dzongkhag does not have access to genuine softwares in most cases, and therefore resorts to using pirated softwares. 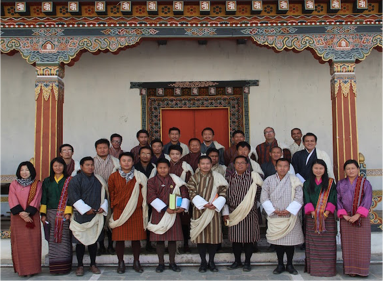 The event was next hosted at Mongar dzongkhag where 35 officials were present. The participants also shared their concerns about data breach if proper security measures were not put in place. 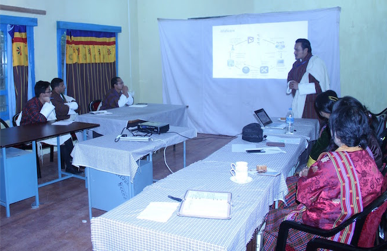 It was learnt that similar awareness program on safer user habits are being conducted by ICT division of the dzongkhag. The session at Samdrup Jongkhar was graced by Dasho Dzongrab. The participants acknowledged the importance of following good user habits while being on the Internet. The program helped raise awareness on some techniques deployed by cyber criminal to scammed users. 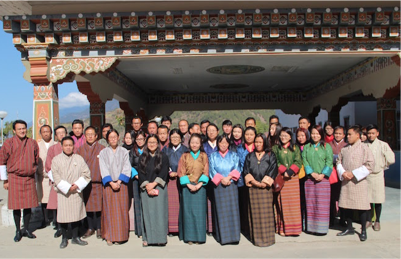 The eastern awareness program was concluded with graceful presence of Dasho Dzongdag and 29 participants. The session on the importance of inculcating good user habits while being on the Internet. 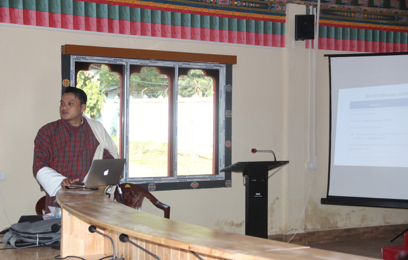 Dasho Dzongdag emphasised on the significance need for conducting such awareness programs within the dzongkhag. 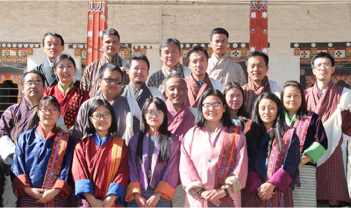 It was agreed that the Dzongkhag ICTO will conduct similar end-user program in the dzongkhag to help users understand the growing threats of cyber security.